General view of the Marriner S. Eccles Federal Reserve Board Building. 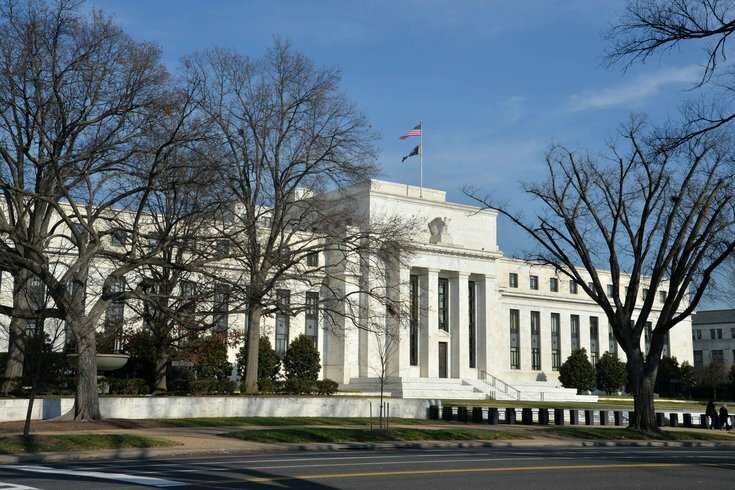 The building houses the main offices of the Board of Governors of the Federal Reserve System. It is located at 20th Street and Constitution Avenue, N.W. We’ve all been there — a soggy computer keyboard, a cracked windshield, the air conditioning stops working, the toilet won’t flush. It’s truly one of life’s greatest joys, coughing up the cash, that had been intended for next month's rent, to pay for a surprise disaster. Philly treated Tomi Lahren with respect – who knew? A recent study is showing just how relatable that was in 2017. The Economic Well-Being of U.S. Households reported four in 10 Americans can’t cover an unexpected $400 expense if need be, according to the Federal Reserve Board. What’s jarring is this is an improvement from 2013 — when 50 percent of adults couldn't cover that. In fact, this report says the overall state of Americans’ financial situations is slowly looking up. But it's undeniable many are still struggling. One-fifth of Americans have been touched by the opioid epidemic, and those who have been exposed to addiction have somewhat less favorable economic standings right now. And 30 percent of adults report they experience changes in income from month to month, causing obvious financial strain. Some positives: The Federal Reserve reports individuals of all education levels are faring a bit better than they had in previous years, adding to a total 74 percent of adults that said they were "doing okay or living comfortably" in 2017. • 1 in 10 adults experience hardship because of monthly changes in income. • More than half of people under 30 have student loans. And nearly 25 percent of borrowers who went to for-profit schools are behind on their payments of $200 or $300 per month. • Less than two-fifths of non-retired adults think their retirement savings are on track, and one-fourth have no retirement savings or pension at all. • The report makes a case to connect many Americans' current financial situation with the opioid epidemic. One hypothesis in the report asserts that a long-standing decline in financial opportunity was a driver of the current situation.